Kitchen renovations can prove to be a valuable investment that provides years of quality service and convenience that is sure to impress your guests. All across Georgia, homeowners are putting the time and energy into their home improvement projects with the goal of enhancing their quality of life on a daily basis. One major improvement you can make in the kitchen is replacing or refacing your old cabinets. Those interested in cabinet refacing in Dunwoody or Northern Atlanta can benefit from working with the Detail Design & Remodeling team for top-notch results. For years, our home remodeling contractors have worked to specialize in creating high-quality results utilizing old-world craftsmanship. We have partnered with our woodworking company to provide custom cabinet solutions where refacing or refinishing is not recommended. 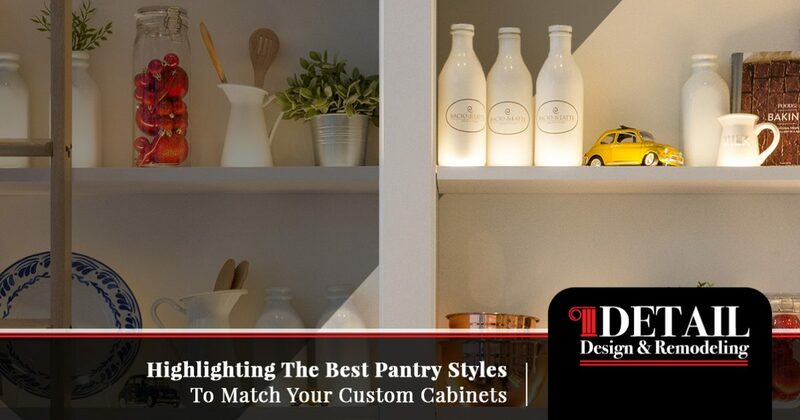 Today’s blog post will build on previous discussions of cabinet accessories and styles, but with further focus on the power that you have in creating the best outcome to match your vision. Detail Design & Remodeling is here to deliver unbeatable cabinet refacing services to Georgia homes, but we can also serve as your complete remodeling source. Be sure to contact us today to learn more about our cabinet services! 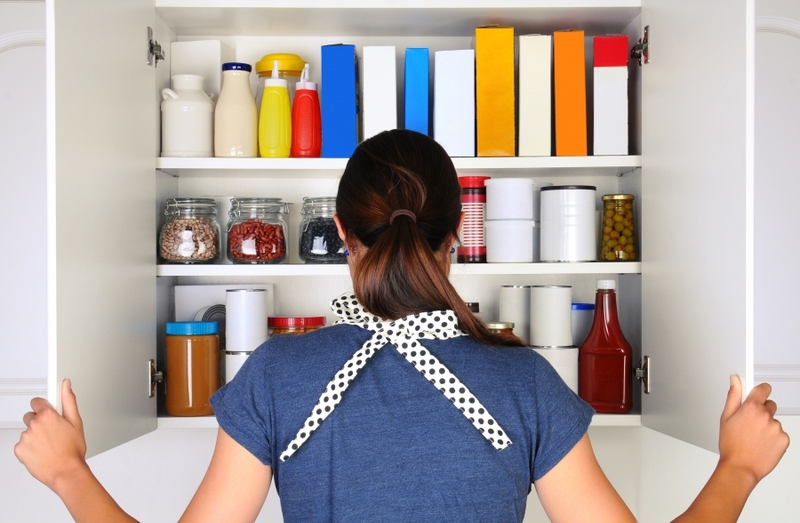 As the center for food storage, the pantry in your home should be designed for optimal use while still conforming to your kitchen’s design plan. Many residents benefit from the convenience of hidden storage solutions for the pantry, electing to place them in closets and among cabinets, or even hide them somewhere within the room. If your Georgia home is missing the pantry you’ve always wanted, now may be the perfect time to install one in addition to our kitchen cabinet refacing services. The types of pantry available will depend on your floor plan and your imagination. Detail Design & Remodeling is here to help our customers find the best fits for their homes, and we’re happy to install one of many options available to you. As the name entails, this classic style is commonly seen all across the country. Instead of placing the pantry in the main space close to the cooking, designers have traditionally opted to create a small closet in the kitchen designed for food storage. Items may not be readily available, but the closet pantry design allows homeowners to create amazing solutions within their existing space. Your closet pantry may seem like the choice that you’re stuck with, but keep in mind that you can introduce small changes here for big improvements. Homeowners can add custom storage solutions in their pantry, including custom cabinets, hooks for utensils, totes for larger products, and so on. As the name implies, this cabinet resides along the walls of your kitchen and typically consists of one independent shelving unit. Homes that do not have the space for a closet pantry can benefit from this quick, easy solution. Wall cabinet options are beneficial, as they offer the same advantages of your other cabinets, but typically with this less box depth. The result is a pantry that can be centrally located (or moved! ), personalized to match the existing kitchen design, and that can offer convenient access to food and utensils. Homes that do not feature closet pantries will likely benefit from the advantages of this affordable design. Not sure where to look for in a wall cabinet pantry? You can contact our home remodeling team for assistance, or browse online to find hundreds of affordable solutions. One way to make the most of your deep cabinet system without taking up a lot of space is to invest in a roll-out pantry. Many homeowners find that the versatile storage offered by these pantries can be well worth the effort! Similar to the spice rack in your kitchen, this pantry features long, narrow shelves with retention bars on each side to keep everything in place. Georgia homes with limited space can benefit greatly from this system, as you can install considerable storage space in an area that is relatively compact on the surface. Simply roll the pantry out, and you’ll have access to both sides for quick, clear product acquisitions. Those looking to add a layer of convenience and organization to their wall cabinets can benefit from the advantages offered by pull-out pantry options. Instead of static shelves that reside within the narrow confines of your new or existing wall cabinet, you can choose instead to install sliding arms for maximum convenience. Tight spaces and highly organized drawers can both necessitate change, and the convenience of pulling out your shelves in these situations can prove invaluable. Detail Design is here to be your cabinet refacing and remodeling pros, providing high-quality updates that will provide your home with years of quality. We also offer options such as base pullout cabinets, so be sure to contact us with your floor plan to find amazing results! Those looking for the most control in organizing their spices and confectionary goods can benefit from this full-sized system, delivering the convenience of a pull-out cabinet with an array of organization options. Homeowners that make the most of their kitchen time may find it worth the effort to invest in this high-quality venture. Regardless of the goals you have for your home, the Detail Design & Remodeling team is here and happy to help. We specialize in home renovation services such as cabinet refacing across Georgia, and will be happy to show you the value of our experience. Contact us today to learn more and to receive a quote for your kitchen renovations!